When I lived in the States I always got annoyed by the TV adverts claiming that their product was the biggest, craziest, fastest and greatest. When I got to Playa Del Carmen I never had a television, so I missed out on all this rubbish. 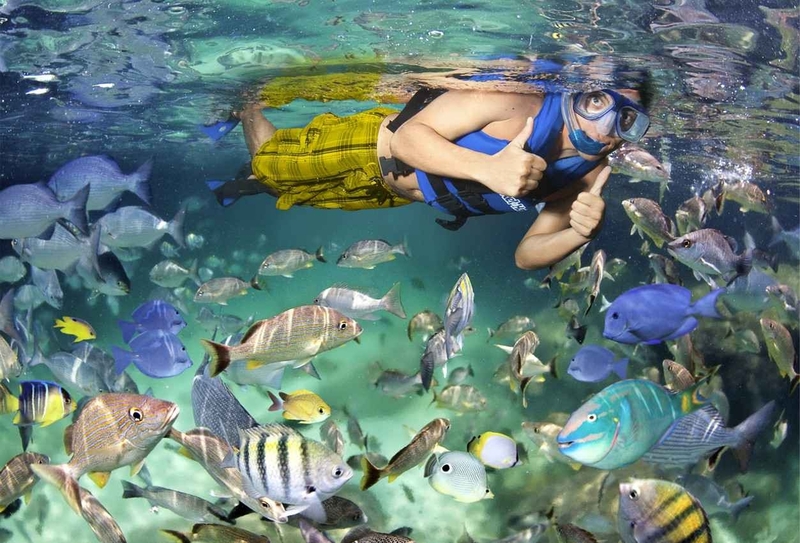 Then somebody told me that Xel-Ha is the largest aquarium in the world. It’s only claim is that it’s the largest aquarium – and it’s super cool. Over hyped or an awesome experience? I decided to check it out and report back. Which is a pretty nifty name for an aquarium. Legend has it that the gods gave the job of protecting the earth to the iguana, the macaw, and the parrotfish. Only when the gods were happy did they allow entrance to humans. It seems a bit farfetched, I know, but who am I to argue with a civilization that existed many millennium before us Americans. 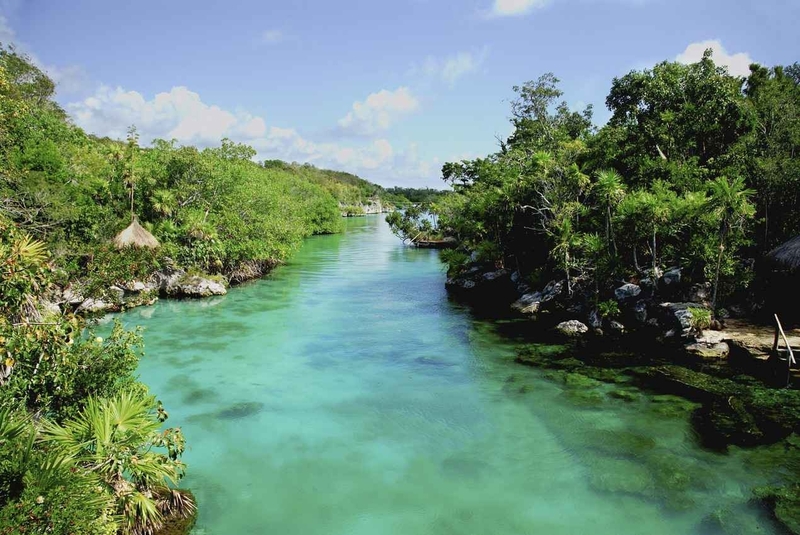 Xel-Ha is a kind of inland lagoon, a natural place where the water flows from the ocean into the jungle. 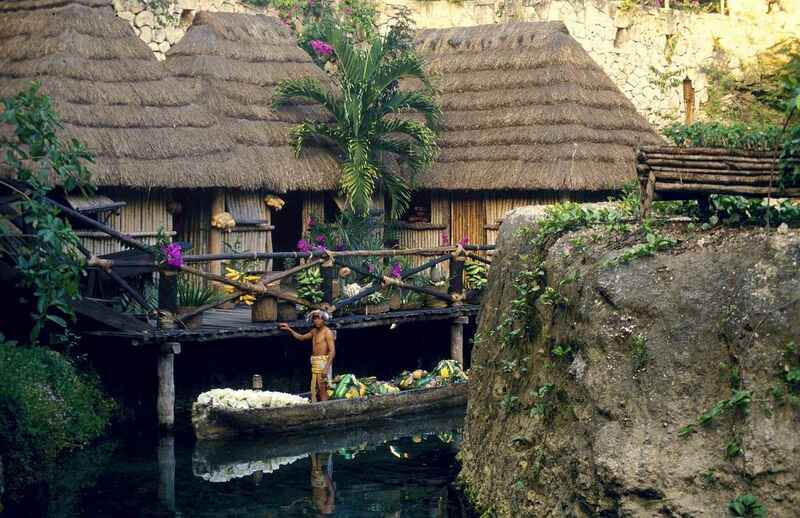 In the past, Xel-Ha was used as a shelter port because of its location. 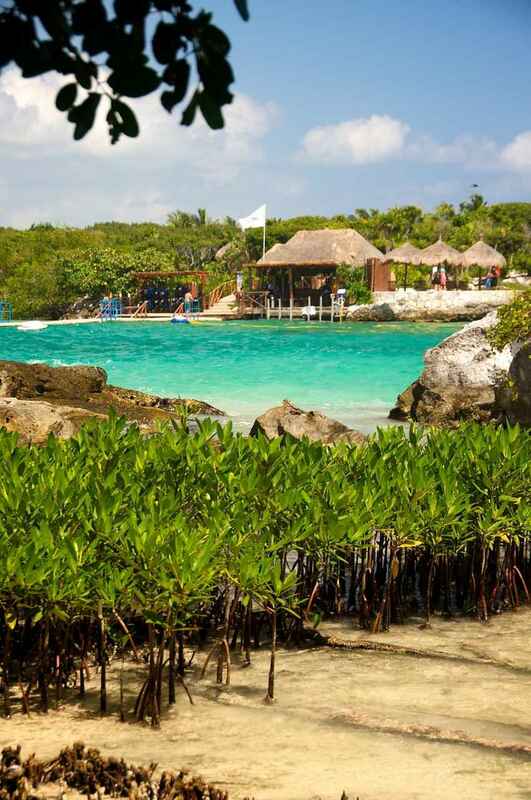 Xel-ha is about 45 minutes drive south of Playa Del Carmen. 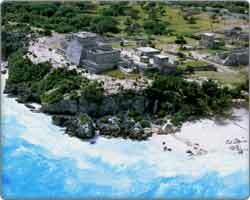 It’s just north of Tulum on the main Cancun-Tulum highway. It’s easy to organize private transport to get there, and this isn’t too expensive if you’re with a few people. However, as I was visiting on my own I just took the bus from 5th Ave. The bus stops right outside so if you’re short on cash why not take local transport. 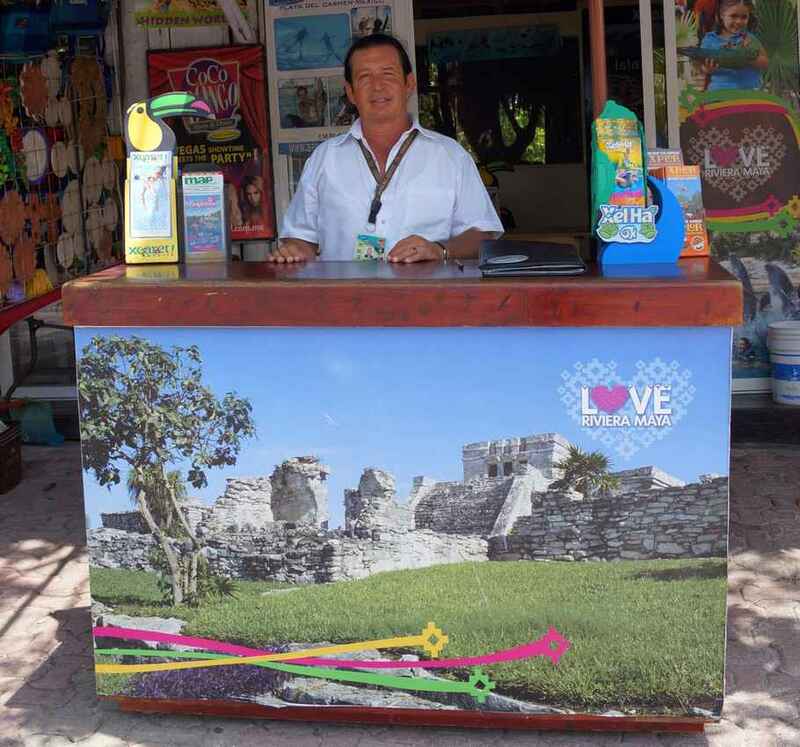 Xel-ha also has some packages that include transportation from Playa Del Carmen. Look on a map. It’s very easy to find!!! On the bus I was still skeptical about Xel-ha. I wasn’t sure exactly what to expect or whether it would live up to the hype. As I was entering there were three pretty tasty looking women in front of me. So I forgot about my research mission and tried to follow them. I’ve obviously been working on the wrong kind of six-pack because they ignored me completely. But I looked around, and suddenly I found myself in the middle of this huge tropical wonderland. I can’t tell you if it really is the largest aquarium in the world. But I never found the edge of it. Xel-ha is absolutely massive, and I don’t think I even got around to seeing half of it. My mind returned from the women and when I admired the surroundings I had to admit that this was a very beautiful place. As I was in an aquarium the first thing I wanted to do was check out the underwater world. And no, that doesn’t mean women swimming in bikinis. I’m talking about the coral reefs full of some crazy fish. I recognized a few of them, like barracuda, groupers, and angelfish. There were literally thousands of fish swarming around my body and the variety of colors was very impressive. Next thing I knew I’d spent over an hour snorkeling around. I was never going to see everything at this speed. I grabbed an inflatable tube and started floating through the mangrove tunnels and underground rivers. It’s serene and relaxing, although I kept jumping off and putting my snorkel back on. 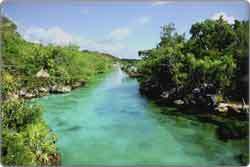 In these rivers are freshwater fish, so there is an opportunity to snorkel with both marine and freshwater species. As much as the fish were good company, I was beginning to think about those women again. I followed signs for the Stone of Courage. It was a little disappointing. I tried a back flip and landed on my back. For adrenalin, the rope swing was much better. I like rope swings because you have to time the release, and this one released me into the cool waters of a cenote. Although the real test of skill is Trepchanga. It’s a simple concept but a lot of fun. There are two separated ropes across the river and you have to use them to walk across. It was harder because those women were behind me so 80% of my concentration went on breathing in and trying to make my stomach look flat. I was looking good, but then I fell flat on my face in the river. Swimming away embarrassed, I thought it was best to get out of the water for a while. There was a pretty cool jungle trail with some iguanas and creepy looking monkeys. What’s more, I think those monkeys had seen me on the Trepchanga and were laughing at me from the trees. You can go on a bike ride through the jungle (included in the entrance price), although the route is only around a half of a mile long, so I preferred to walk and check out the curious porcupines along the path. I found a beautiful garden called Chacahs Garden, which had a whole story about warriors and elders and poison to accompany it. Two warriors fought over one woman, and after dueling to the death, the warrior Tizic was reborn as a tree. 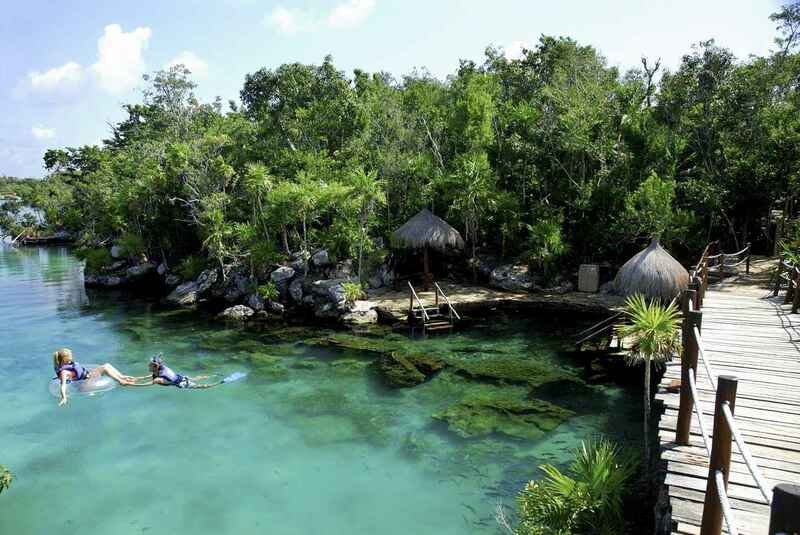 There was also the Xel-ha nursery, home to more than 270 species of threatened plants. 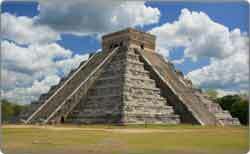 It was cool, but I preferred the ancient ruins that still exist in Xel-ha. 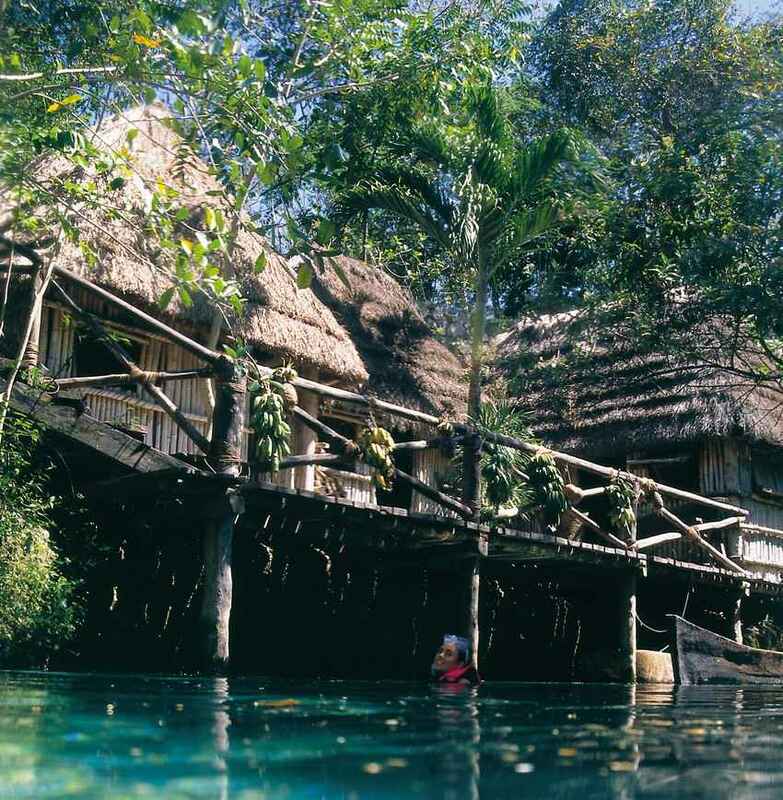 There is an old building that has now been completely engulfed by nature, and I was starting to believe some of these old Maya stories about Xel-ha. When you visit the world’s largest aquarium you want to be in the water. 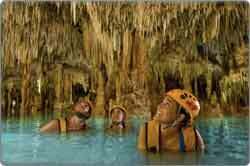 The El Dorado Grotto is a strange narrow canyon that has walls littered with fossils. Beneath it is a small pond which connects to all the underground rivers. After following the grotto, it goes through a cave and then opens onto a turquoise lagoon where I suddenly noticed how my back was still bright red from the cliff jump. It was now after 3pm and I’ll admit to being pretty exhausted. I hadn’t stopped for six hours, and there were still many areas left to explore. I skipped some of them. Like the Zip Bike – literally riding a bicycle along a zip line through the jungle. And I was too late for taking a steam bath with a shaman in a dark cave that symbolizes Mother Earth’s womb. For people who aren’t confident snorkelers or swimmers there is also the sea trek. It’s walking along the seabed and being surrounded by the marine life. But I’d come to an aquarium so I wanted to get close to some big creatures. 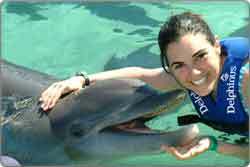 At Xel-ha you can interact with dolphins, manatees, and stingrays. Each activity is separate and requires an additional fee. Dolphins and stingrays sounded cool but I’d never seen anywhere else offer a manatee experience. These are some ugly creatures. What on earth is their strange face about? They look like marine hammers. But it was the highlight of my trip to Xel-ha. It’s an opportunity to get close to creatures that you think only exist on National Geographic. Everyone who came from the stingrays and dolphins was also beaming with excitement. I definitely felt I got enough time with the manatees for it to be worth the extra money. I’d Almost Missed The Free Bar At Xel-Ha! With all this underwater excitement I can’t believe how foolish I’d been. I’d somehow spent the whole day without taking advantage of the free bar. Included in the entrance ticket is unlimited drinks, and that included beer and cocktails. Also included was a massive buffet that seemed to stretch on forever. By late afternoon most people were chilling in the restaurant, and after a few beers I finally plucked up the courage to chat to the three women. They remarked on my sun-burned face. So let me give out some advice on what to bring. 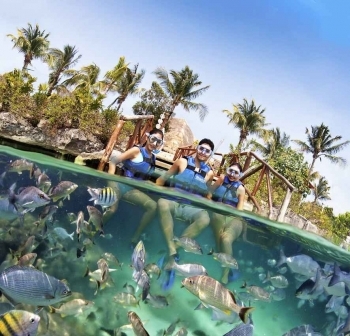 Almost everything is provided at Xel-ha. You just need to bring swimming shorts, towel, and SUNSCREEN. Snorkels and masks can be rented for a small fee, so bring your own if you have them. Xel-ha costs $79 USD to get in. Most things are included, but not the animal encounters or the sea trek. It’s open 8:30am to 7:00pm and there is free food and beer. So it’s really worthwhile to get there early and stay late. 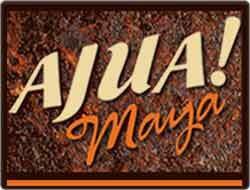 I think it’s a great value compared to other activities around Playa Del Carmen. 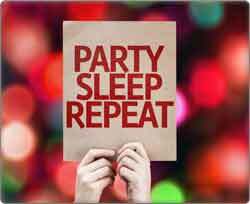 There are lot of things to do, but when you add in the buffet and booze, it becomes cheaper than a day on the beach. There is a lot of hype that goes with Xel-ha. But it is very impressive and even for a skeptical American it is an amazing day out. 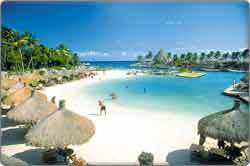 I will see you in Xel-ha soon! It’s your turn. 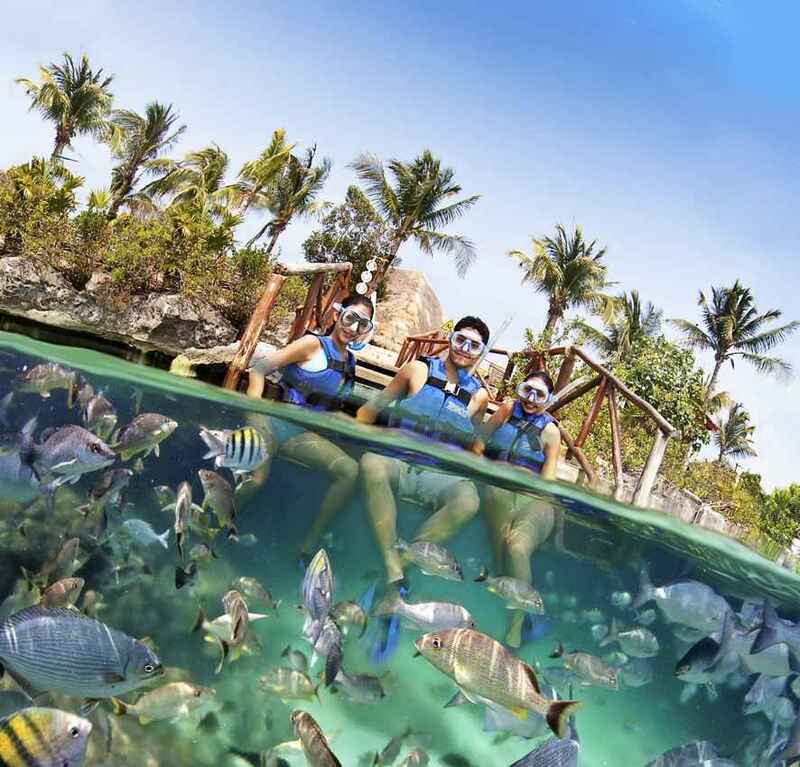 Do you have an experience with Xel-ha you can share with us? 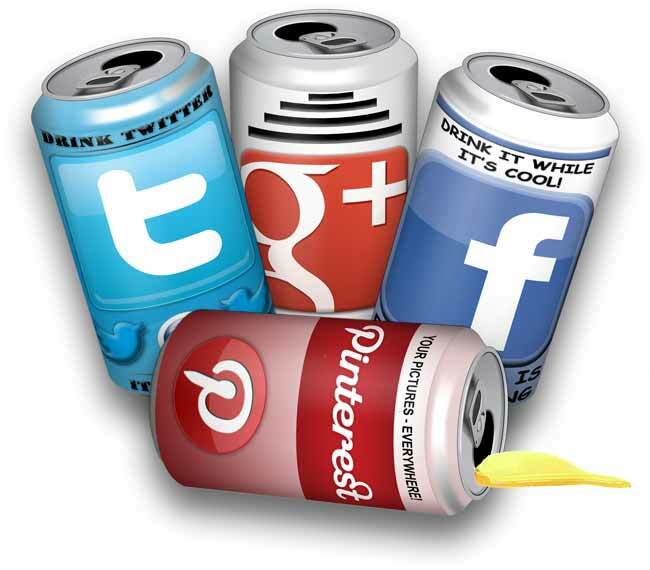 Please tell us your story in the comments section below! Hi, Rufus! I am enjoying your guide pages very much. 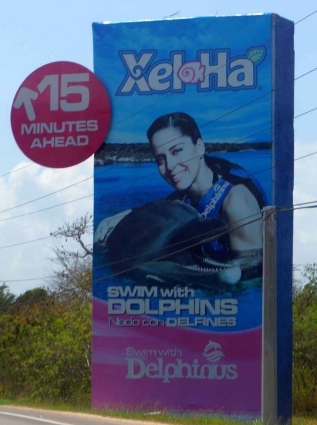 You don’t specify, but I would think that Xel-Ha requires reef-safe, biodegradable sunscreen. 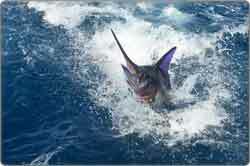 I plan to get some regardless, in order to protect the waters. I read elsewhere that the government has laws or regulations encouraging its use, so is it a commonly available product? 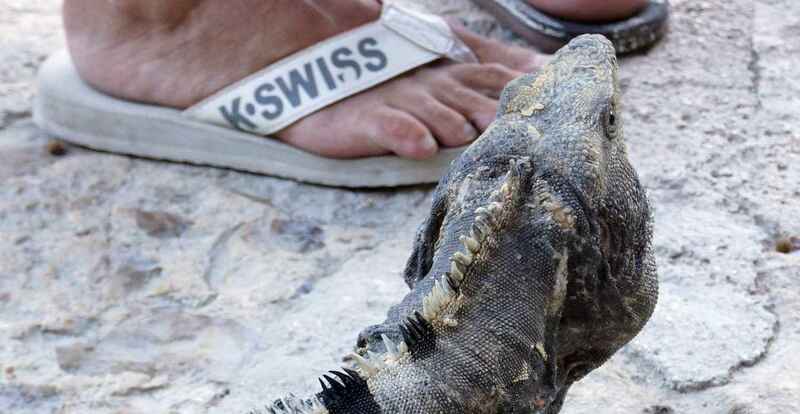 Do you know if they sell it at Xel-Ha, or is there another good, inexpensive place to procure it? Thank you for any ideas about this! Thanks for the comment. I can understand why someone would be confused by the requirement. It is true that Xel-Ha requires biodegradable sunscreen. They do this in order to assure that the lingering chemicals in sunscreen don’t stay around long enough to become part of the local food chain. It is also true that all of the local activities–from swimming holes to commercial cenotes–require biodegradable sunscreen. Thus, it is best to inform yourself about this now. In regard to the best place to get it, I did a quick search on Amazon and came up with several hundred varieties of the stuff. I’m sure there are other places, too. You should have little problem finding it. However, DO NOT BUY IT AT YOUR RESORT. They usually charge an arm and a leg for the stuff at their stores because they know that last-minute shopping is a desperate affair. You’ve been warned. And that was an excellent tip about the included food and cocktails at Xel-Ha! I wish this was not the case, but Fifth Avenue (and even 10th Avenue) is a tourist trap. Prices are always exorbitant there. If you’re going to get biodegradable sunscreen upon arrival, go to Walmart. 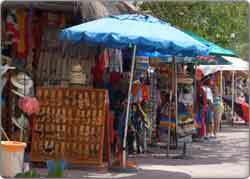 Prices for sunscreen are reasonable at the Walmart in Playa Del Carmen and there are lots of brand and SPF options. 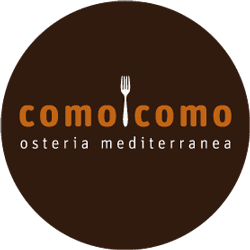 You mentioned rentals/condos. If you are staying anywhere other than a hotel or resort, DO NOT mention it when you go through customs/immigration. This includes AirBNB rentals, any vacation rental, private condos, etc. The reasons you should not mention any vacation rentals go far beyond the scope of this reply. 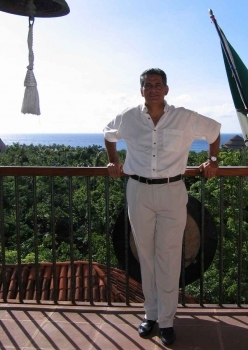 Suffice it to say that the hotel industry lobby is putting an immense amount of pressure on the Mexican government to begin TAXING private rentals here in order to cut competition– 16-19%!!!! This taxation will invariably make vacationing here more expensive–and minimize options for tourists like you. Mentioning that you are staying at a private rental will cause you nothing but headaches, so keep your mouth shut to avoid it. Thank you, Rufus, for pointing out THAT particular pile not to step in… Much appreciated!